This page is a review collection of all the ramen that I’ve blasted through my digestive system, harder and faster than Arnold with a sawed-off shotty on a motorcycle in T2. Hasta la vista, baby. I guess you can call this the “ramen cleanse diet” portion of the website. 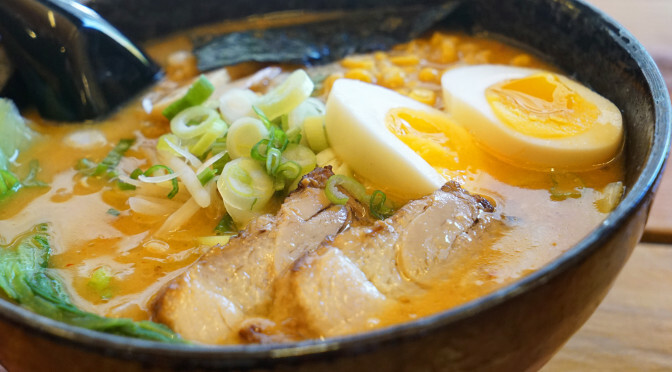 And then check out my extremely thorough article that details the various styles of ramen. The synopsis is that you need to take into account (1) the broth base and thickness/heaviness: typically fish, chicken, pork, beef or some combination thereof is used to create the stock/broth, and then it is either strained off to be thin, or allowed to thicken into a stew-like consistency; (2) the method of seasoning the broth: typically Shio (sea salt), Shoyu (soy sauce), or Miso (fermented bean paste); (3) the noodles: Dry? Fresh? Alkaline noodles? Egg noodles? Wavy? Straight? ; and (4) the toppings: sliced pork, pork belly, beef, ground meat, chicken, fish, fish cakes, shrimp, nori, veggies, mushrooms, spices… it all gets considered. 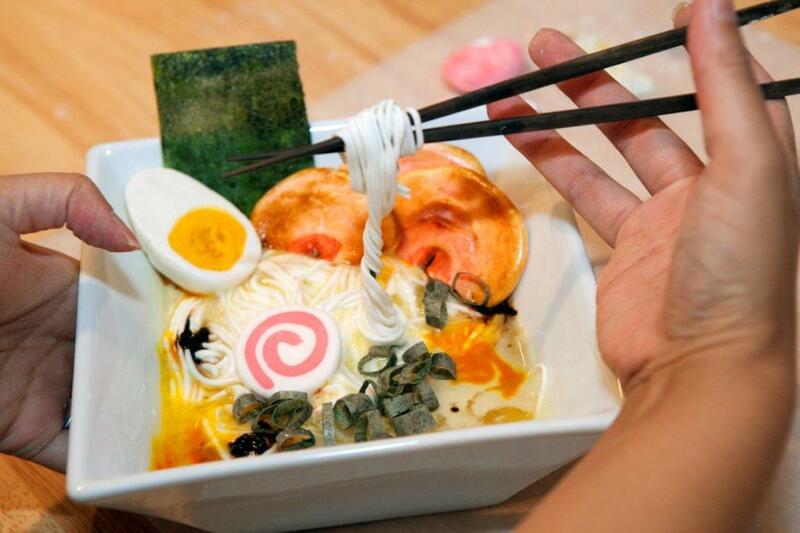 Side item: If you want to see something really amazing, check out the ramen cake that my wife made for me for my birthday. She rules! Now… Slurp your face off and enjoy the ride, dickbags.